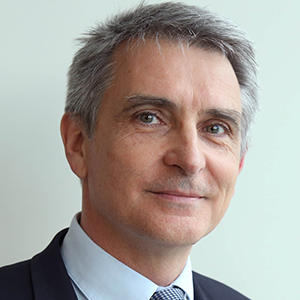 Eric MARIETTE is the Atos Vice President ~ Global Media; he is responsible for the development of the Atos global business across the Media and Entertainment sector. As such, he manages sales & business development teams focused on M&E globally and carries overall responsibility for managing the Media portfolio which includes driving the respective Atos’ Divisions to appropriately support the company’s strategic sales plans across geographies, obviously addressing the challenges facing the industry and in particular focusing on digital transformation opportunities. The Media and Entertainment business is a key focus area for Atos which is part of the wider TMU (Telecommunications, Media & Utilities) Global Business Sector which represents over 20% of the group revenue. Eric joined Atos in January 2011 from Alcatel-Lucent where he fulfilled various senior sales, marketing, strategy, and operational business function roles in France, Germany, China and Malaysia. Eric has more than 20 years of experience in the Media, Telecommunications, Consumer Electronics and IT sector. Having lead several consumer facing application initiatives targeting the major operators, Eric has been at the forefront of the convergence drive facing the media and telecoms’ sector over the last decades. Eric initially started his career in the IT sector at Texas Instruments’ within their mini and micro computing division. He holds an Engineering degree from INSA Lyon and a Master degree in Marketing & Strategy from ESSEC Business School in Paris. Eric developed a passion for radio broadcasting in the 80’s when he became the Director of the local student radio station in Lyon and produced his own programs based on celebrity interviews and investigative news stories.